MVTec Software GmbH provides HPeek which proves the essence of MVTec HALCON with a selected number of Machine Vision software and solutions for a broad variety of industries. 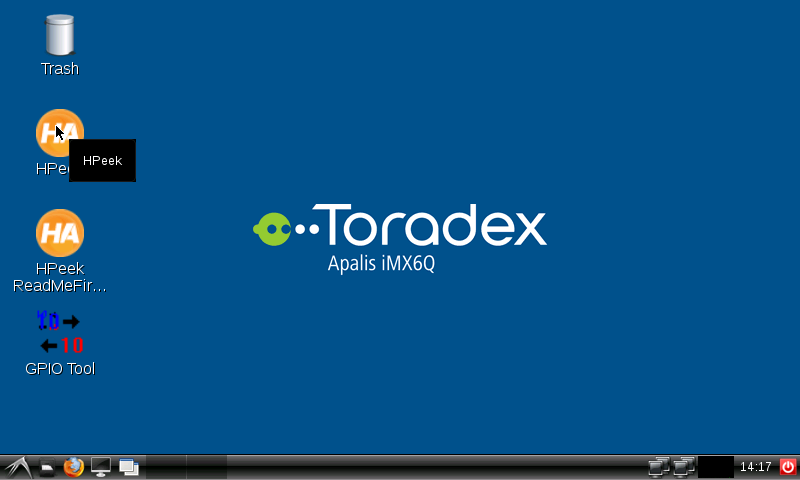 It is suitable for embedded systems such as the Toradex computer on module (SoM) offerings. Since it runs on top of Toradex' standard Linux BSP, you have the added value of MVTec HALCON's on top of a reliable system on module solution. 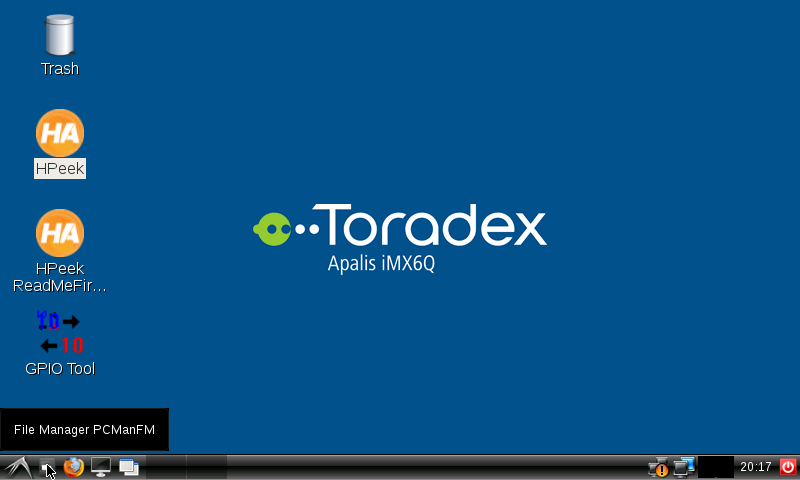 MVTec HALCON Toradex Easy Installer image format offers HPeek, a tool to demonstrate HALCON machine vision and HALCON image processing performance and key features regardless of a commercial license. The provided demo runs a series of image processing algorithms applied to offline images calculated in the target embedded system device. When the installation ends, power-cycle the board and wait until you see a desktop environment. 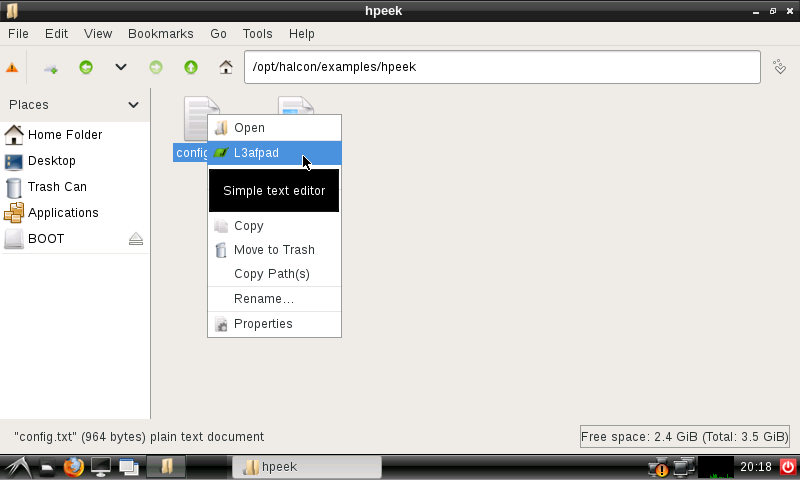 Please find HPeek and its ReadMe desktop icons and run the application with double click. MVTec HALCON is a commercial offering from MVTec Software GmbH. MVTec HALCON provides a highly interactive Integrated Development Environment (IDE) for Machine Vision compatible with Linux, Windows and macOS operating systems in the host and Linux, Windows CE, Android and other operating systems in the target: HDevelop development environment enables a fast time-to-market and ease of use with a large set of examples, some of them shown in HPeek. 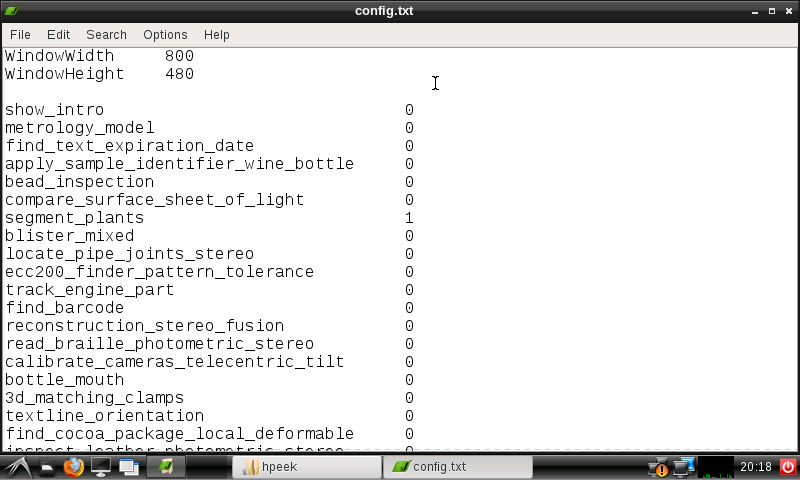 A HDevelop program can be easily integrated into your application since it has interfaces with C, C++, C# and VB.NET where it is possible to access all of its operators to perform machine vision procedures in a few lines of highly optimized code, once it is GPU accelerated and has full support of available instruction sets (neon support for ARM platforms). For more information about how to develop a HALCON Application head over to the extensive MVTec Documentation.